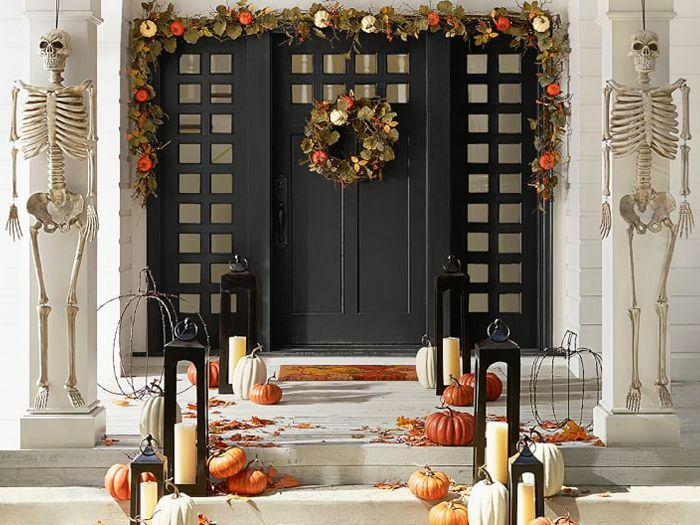 If you're looking to switch things up with your Halloween décor this year and go with a slightly more upscale theme, pay Pottery Barn a visit. Sure you can keep the fake cobwebs and farmstand pumpkins, but when mixed with chic harvest wreaths, pillar candle holders, and elegant copper cauldrons, they'll make your space feel scary-chic. Are you throwing a spooky Halloween party? Do you want your space to have a seasonal harvest theme? Or are you simply looking to adorn your front door with a few decorations for Halloween night? Pottery Barn is your one-stop shop for all those things—it even has an entire Harry Potter collection. 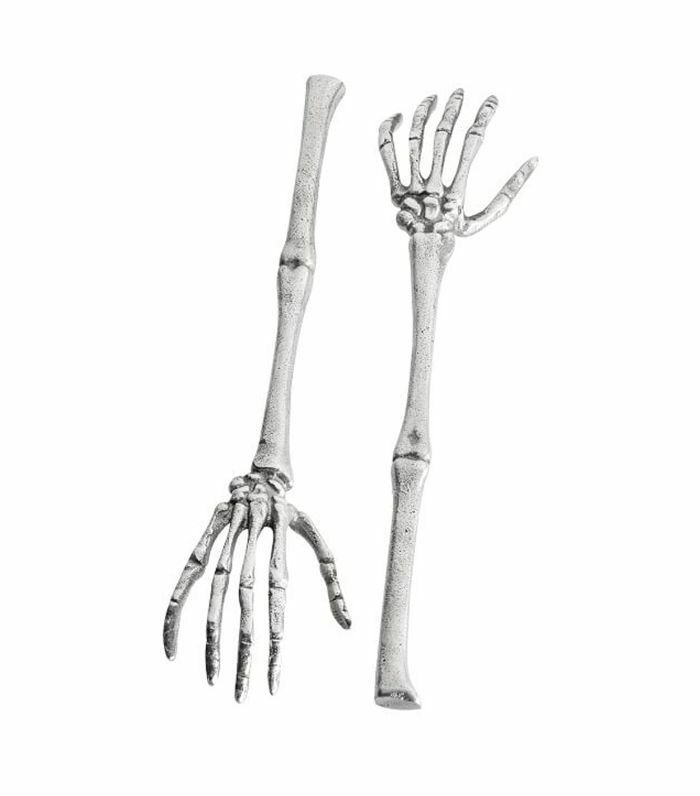 To make the process of shopping for Pottery Barn Halloween decorations a little easier, we handpicked our favorite from its fall collection. 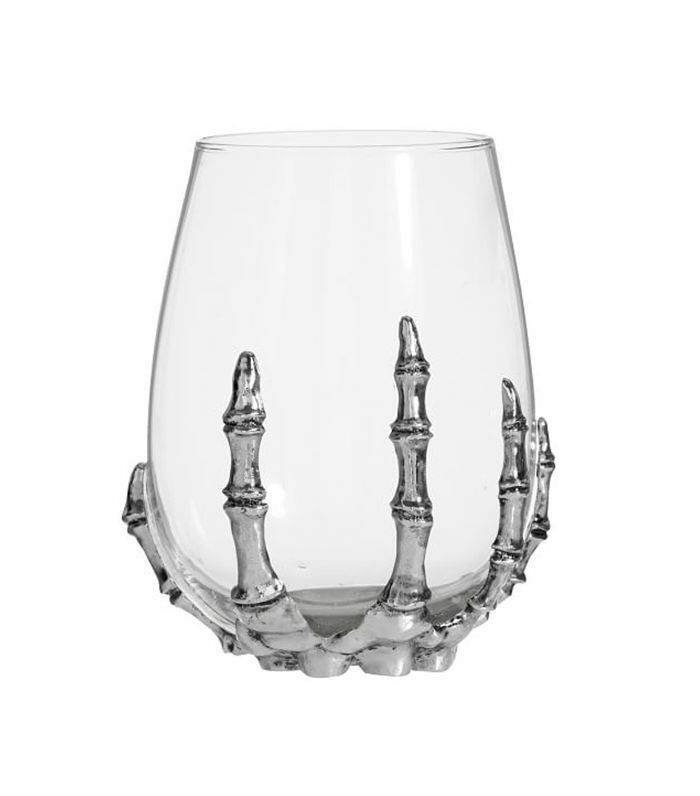 Serve your Halloween-themed libations in this spooky glassware to send chills down your guests' spines. 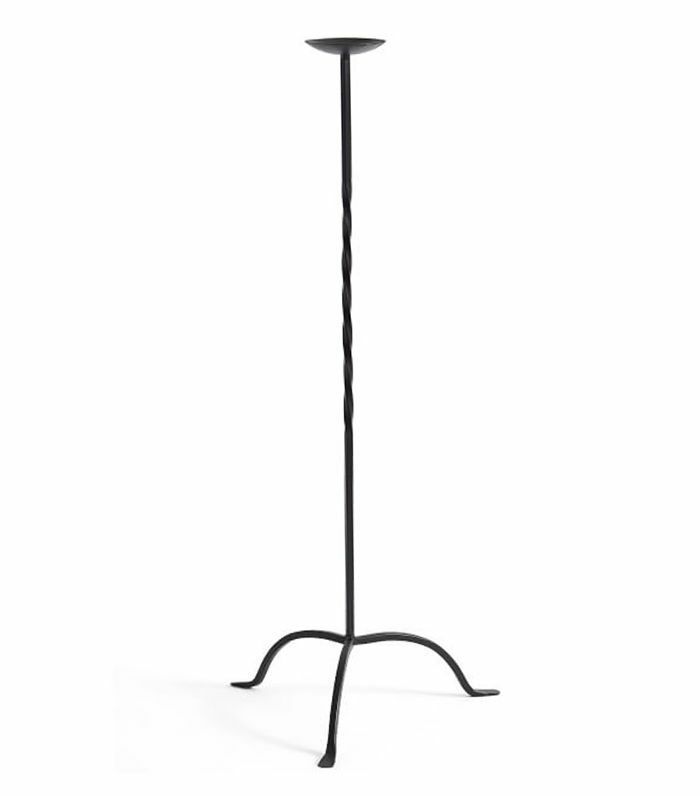 Set a spooky vibe with these black candlesticks, whether you're setting the table or decorating the mantle. 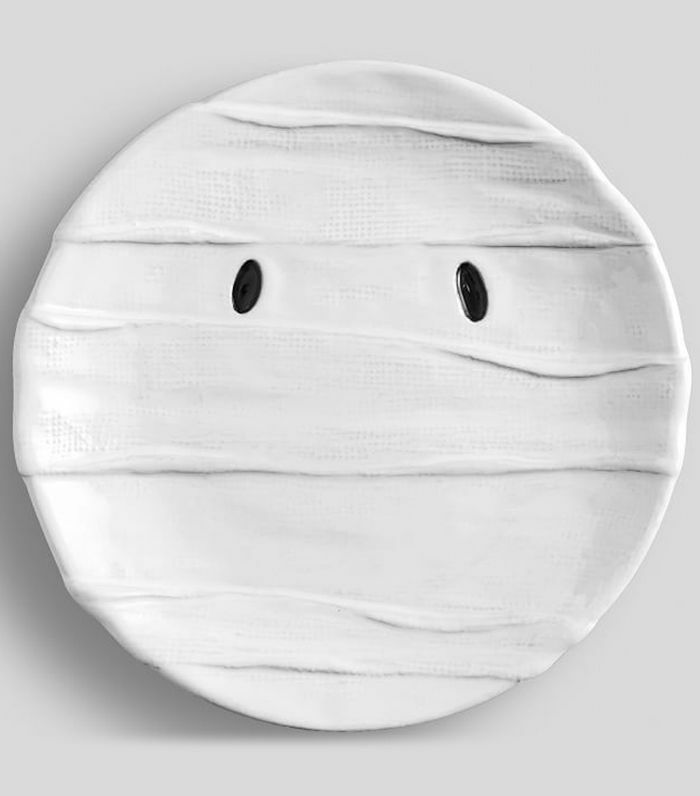 Give your Halloween tableware a seasonal upgrade with these fun mummy plates. 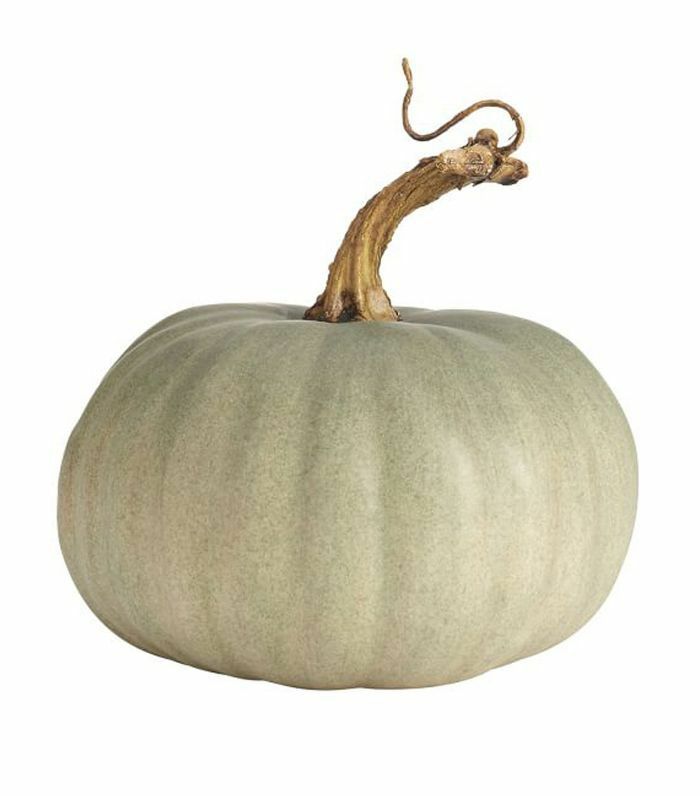 Adorn your space, inside and out, with an array of handcrafted faux pumpkins to get a quaint harvest look. 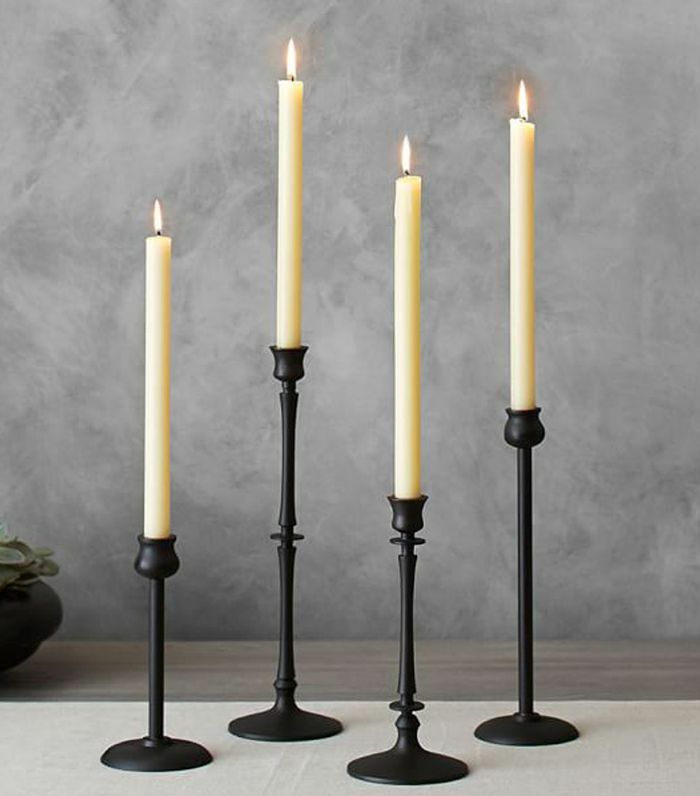 These long and skinny pillar candle holders are giving us Addams Family vibes. Use them in your very own haunted house. 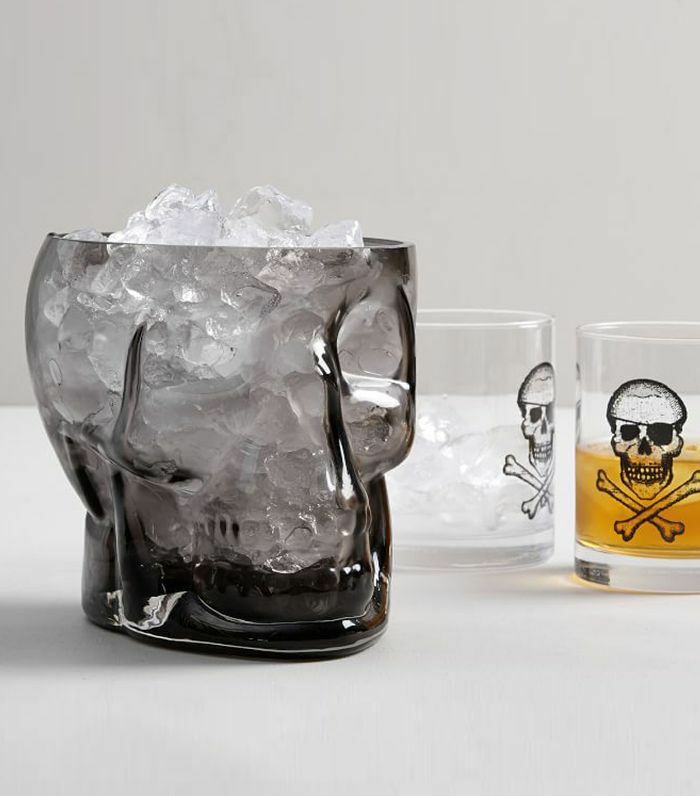 Chill your Halloween champagne in this harrowing skull ice bucket. 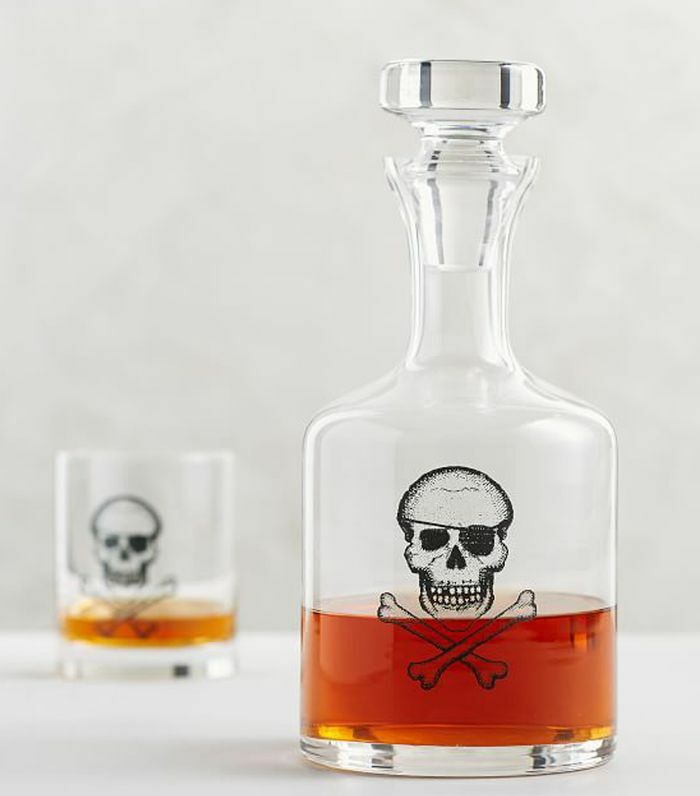 This spooky decanter tells your guests to drink at their own risk. 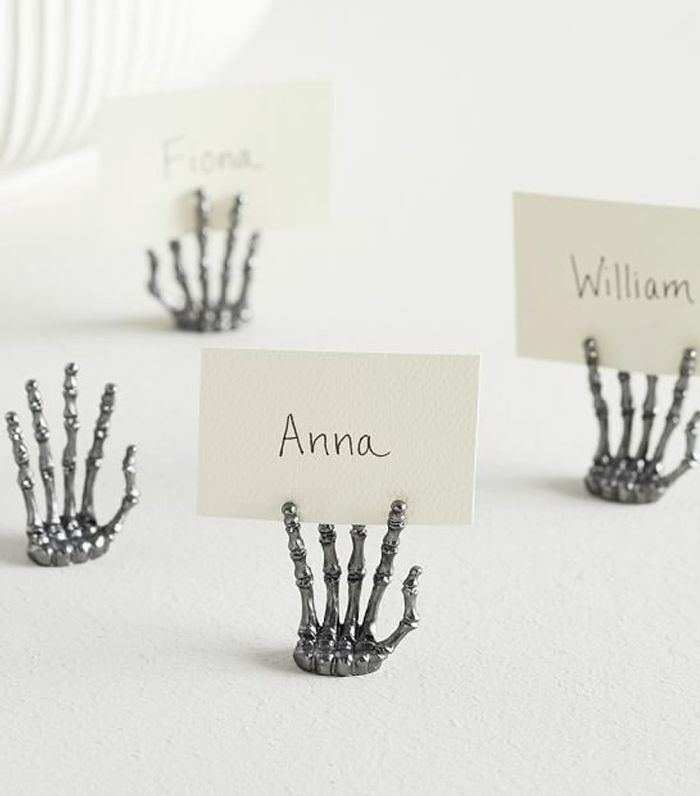 Serve your Halloween dishes with these creepy skeleton servers to give your guests the chills. Use these as placeholders, or make them stick out of a planter full of dirt to create spooky graveyard feels. 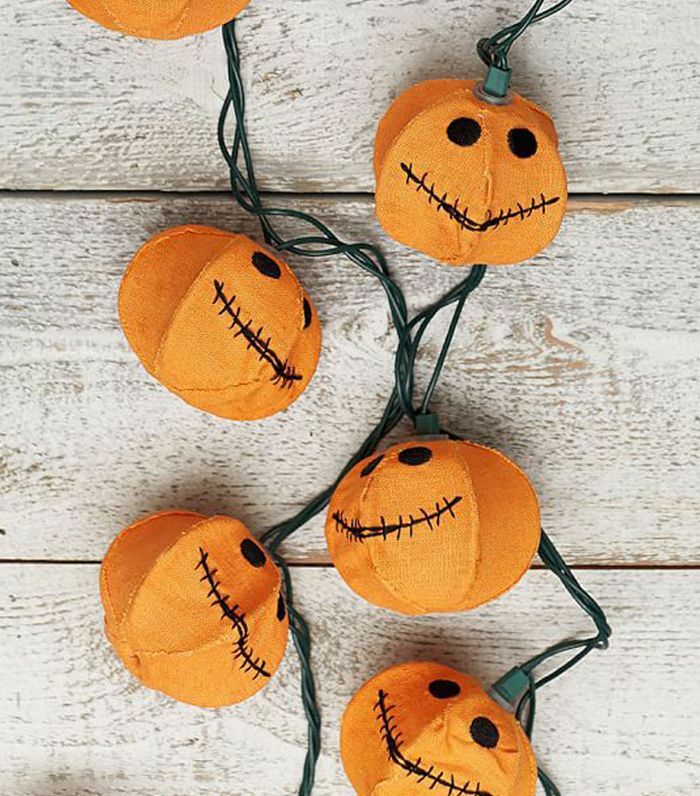 These jack-o'-lantern lights will give your house spooky fun Tim Burton vibes. 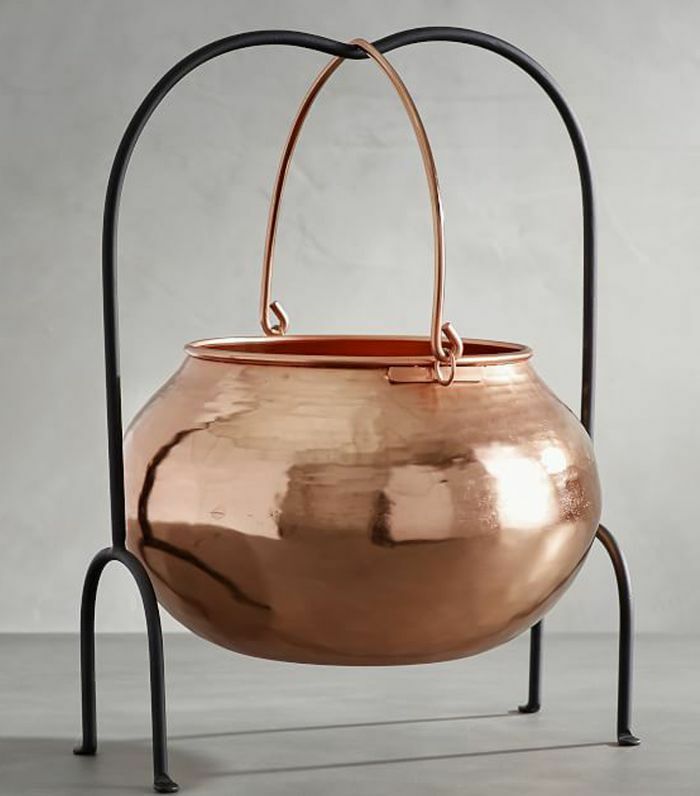 Fill this copper cauldron with candy, soup, or anything else that feels a little "witchy." 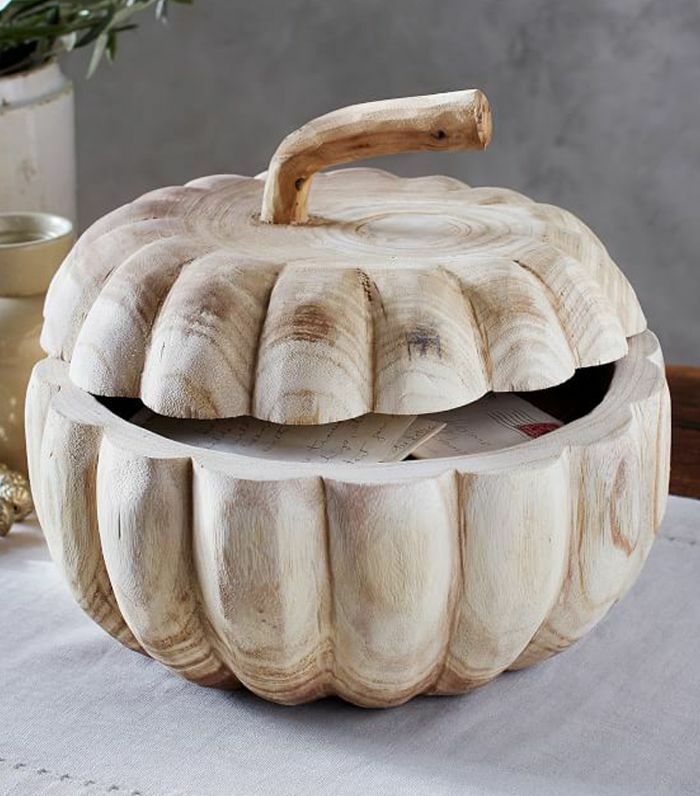 Use this large wood box pumpkin as a large seasonal piece or to hide your entryway clutter before the Halloween party starts. 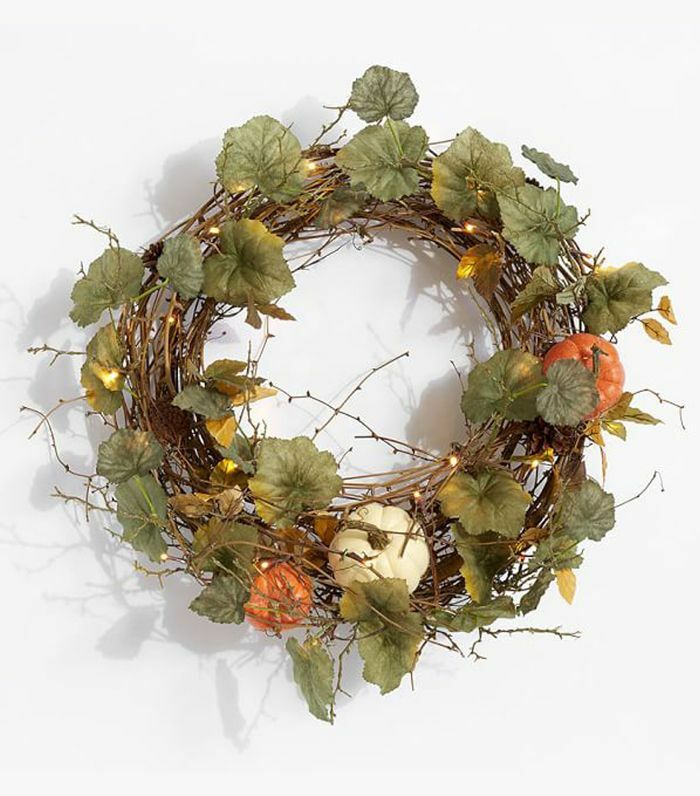 Hang this gorgeous harvest wreath to your front door to set the tone for the season. Subscribe to our newsletter for more party ideas and Halloween décor.